Here’s a fun little fact; smash hit VR shooter, Superhot VR, has made more revenue than the original game it was based on. Tomasz Kaczmarczyk, one of the founding members of the game’s development team, recently confirmed as much to Mixed. However, Kaczmarczyk’s comments were today backed up by Callum Underwood, a former member of Oculus Publishing and Developer Relations team that helped bring Superhot VR to life. Not only did Underwood confirm Superhot VR had made more revenue than the original Superhot, but the VR version has sold over 800,000 copies across its various platforms. Superhot VR first launched as an Oculus Rift exclusive in late 2016 before moving to HTC Vive, Windows VR and PlayStation VR in the following months. It evolved out of a 2014 Kickstarter campaign for the non-VR game that raised $250,798. That project went on to release on platforms like PC, Xbox One and PS4. 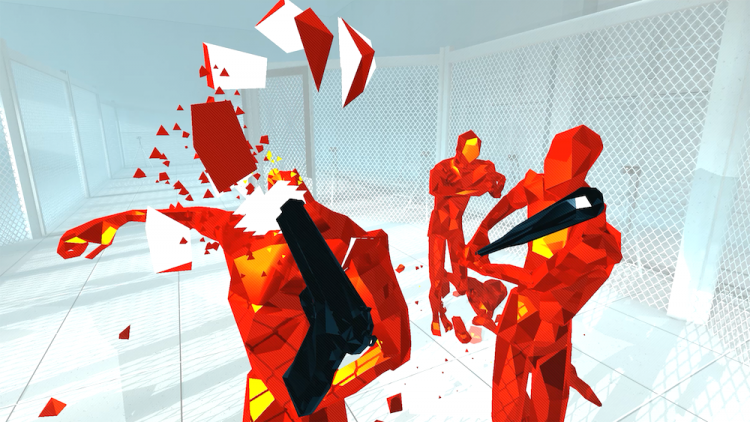 Since launch, Superhot VR has been a mainstay in Sony’s monthly PlayStation Store charts and is widely considered to be one of the most popular (and best) VR games. Another hugely popular VR game, Beat Saber, recently announced that it had sold over a million copies since launching in 2018. It’s also due to release on the upcoming Oculus Quest, a standalone VR headset many believe has the potential to sell millions of units. We don’t yet know if the game will support cross-buy, a recently-introduced feature from Oculus that will allow those that buy a game for either Oculus Rift or Quest to then pick up its counterpart for free too. Oculus says it’s up to developers if they want to support the initiative or not. The post Superhot VR Has Sold Over 800,000 Units, Made More Revenue Than The Original appeared first on UploadVR.